@MikeLinn That GH4 vs GH5 test shows that the Dynamic Range on the GH5 is lower. Maybe it is operator error as the settings might have been different. If not then the AF is not the only big drawback on the GH5. I was willing to forget the AF debacle but the dynamic range in my view is a much more important metric. Now if the GH5 is shot on V-Log L then it may be a different story. I am keeping my GH4 for now. GH5 price now seems overly expensive and should have been $1500. The a6500 has better AF, sensor stab and better DR. Im a GH user since the GH2 but the GH5 is not making me drop $ just yet. @jamesgh2 Have to agree with you there is more detail in the GH4 shadows and highlights looking at the puppy clips. Falls in the category of things that make you go Hmmm. @jamesGH2 GH5 sensor stabilization is much better than a6500s. @jamesgh2 In the DPReview review of the GH5, if you add GH4 for comparison (on the last page), it also says the GH5 has slightly lower image quality (both raw and jpeg), and worse low-light/high ISO performance. 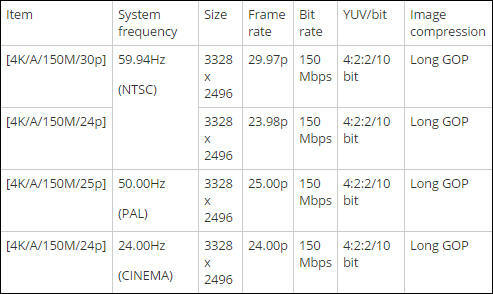 @paulhouston Ever since noticing the weirder discrepancies of the DXOmark tests, I've been suspicious of nebulous score values like we see on that page. I wouldn't put much weight on that. If you check the actual text of the review for IQ it's stated to be better than GH4 across the board: better high ISO noise, better resolution, better colour rendition. In the comments someone asked about this inconsistency and a DPreview staff member replied "All of our reviews use 'point in time' scores, meaning that the scores are relative to other competitive products at the time the review is written. (Usually, when the camera is relatively new.) As a result, it's difficult do a direct scoring comparison between a camera released today and one released three years ago. The GH4 probably scored a bit higher at the time because relative to competitive models it stood out more in those categories, whereas today there may be other products that compete more effectively in the same categories." DC-GH5 Firmware Update Service Ver.1.1 for Expansion of 4:2:2 10-bit Video Recording Mode Panasonic is announcing the new firmware update program Ver.1.1 for DC-GH5 to further enhance its performance. The new firmware Ver.1.1 enables 4:2:2 10-bit video recording in either FHD [MP4(LPCM)] / [MOV] and Anamorphic (4:3) mode, in addition to the existing 4K video recording mode. When [Miniature Effect] is selected for Creative Control Mode, you cannot select the items used for 4:2:2/10 bit motion pictures. [Anamorphic(4:3)] is available only when the camera is set to Creative Video Mode. 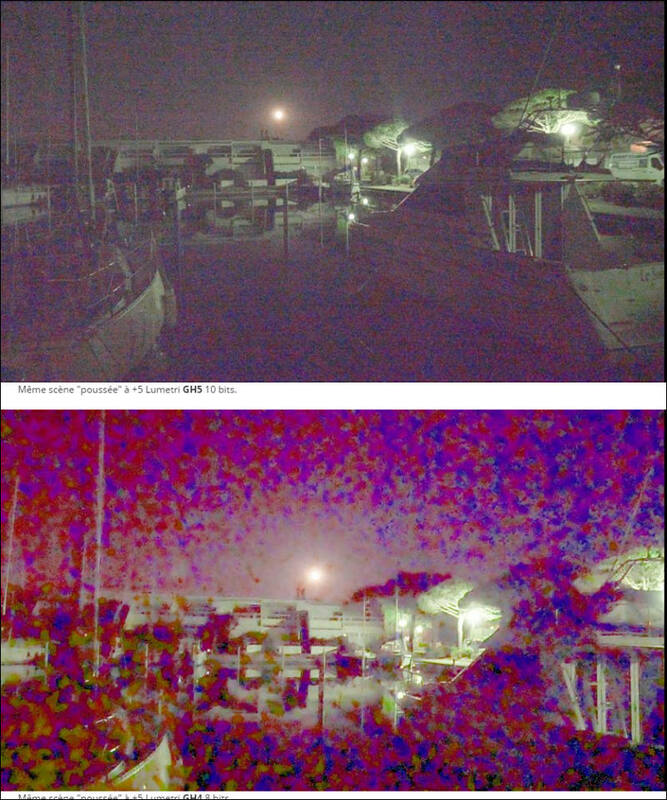 A problem in which the exposure adjustment did not operate properly during live view standby under specific conditions using [Variable Frame Rate]. Long gop. 100mbps or 150. Panna mate. You should really push up you birates. Too much prossesing has get you out of Dynamic range. Firts the 4:2:0 for better autofocus (prossesor problem) Now the dynamic range seems 1stop lower more like gh2. 2k 10 bit 4:2:2 24p 300mbps no autofocus h264 INTRAFRAME FOR GOD SAKE and no stabilization, zero, nada. ALL PROCESING FOR IMAGE CONTROL. Panna, too much gimiks take away the sirious part of the camera image prossesing power should be on one mode all to that mode. With that LSI you could even have 720p 4:4:4 24p if you like it and crop rhe sensor no stabilization no autofocus no extreme noise control. Just the beloved sensor character. Good to see ghosting is gonna be fixed.. I think it is a bit of clever PR, to pre announce a firmware update before the camera is released with new features.. as on this "good news" day you also get to throw in a few bug fixes from users feedback into the same update! GH5 seems to have better dynamic range than GH4 in this DPREVIEW test. @Vesku Funny how at ISO 6400 the GH5 easily has more DR. Then at 12800 the GH4 wins by a little bit. That test however does show the GH5 to be acceptable. That dog test before probably had some settings wrong on one of the cameras. If they improve the AF with new firmware then it makes more sense to change my GH4. 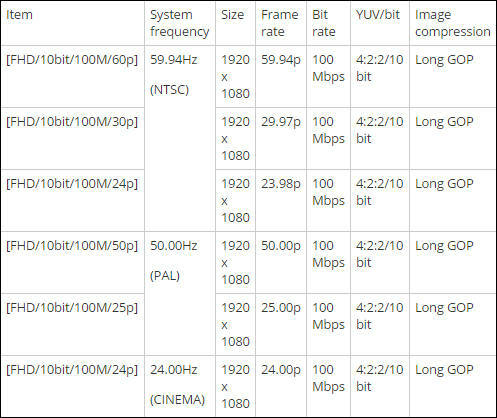 GH4 has no 12800 in video. The video compares GH4 6400 vs GH5 12800. If the GH5 has less noise in shadows it has more useful dynamic range because it is easier to lift shadows. I think GH5 iso100 helps too to reduce shadow noise. Great to see the 1080 10 bit 422 modes at 50p/ 60p and the anarmorphic as well. Going to be a great option for juicy gradable slow mo. The higher ISO looks horrible. I need feedback from others as I am wondering if mine is defected or I should return it. @monowav it might be because in your example there is essentially just shadows and highlights mainly shadows so you are seeing the noise from the shadows. In the other examples you posted they have more mid tones and a gradient of exposure levels so the noise is minimised visually as it's in the shadows more but that makes up less of the scene. To test try filming a daylight scene that has a nice range from dark to light but at the higher iso's you should see less apparent noise as it's hidden in the shadows. I could be wrong of cause :) but that's what I've found when filming higher ISO inside at events on mine. Sadly no FHD 10 bit available in any of the VFR modes - but you can now record in 59.97 FHD 10 BIT 422 which is nice for V-LOG slow mo in post amongst other uses. It would be fantastic to have 10bit 422 for VFR modes. Maybe Panasonic is waiting for Sony to release the a7r mk3 and faster SD cards? @alcomposer yes I agree. In the meantime I think the only work around is to shoot in NTSC 59.97 422 10 bit FHD, or 50p PAL FH10 422 and slow in post. Hmm, I have only been getting to know the GH5 for a few hours, can we get 120fps out in 422 10bit over HDMI?